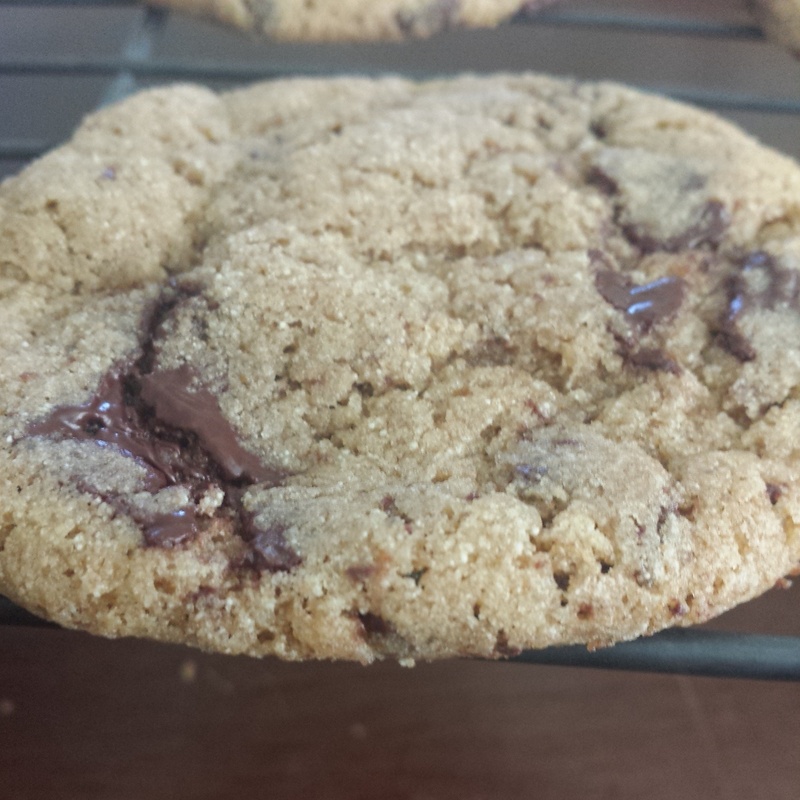 Because sometimes grown-ups need cookies, too. Though your kids will enjoy these cookies, you will appreciate them for their many attributes, including but not limited to: their quality; their sweetness without being overly rich; their nutritional value. Yes! Made with sprouted whole grain flour, pastured eggs and butter, chocolate processed without additives, and unrefined, mineral-rich sugar, these are relatively un-terrible for you! Why sprouted flour? Sprouting, soaking, or fermenting grains (and beans, nuts, and seeds) reduces their indigestibility by breaking down the phytic acid and anti-nutrients that are built into these foods All living things want to reproduce, and so grains, beans, nuts, and seeds are built with essentially a bunch of spikes on them, so they can stay alive when passing through an animal, come out the other end, and sprout a new plant. From this moment forward, I promise there will be no more animal poop references in the cookie recipe. That is, though, the reason for sprouted flour. 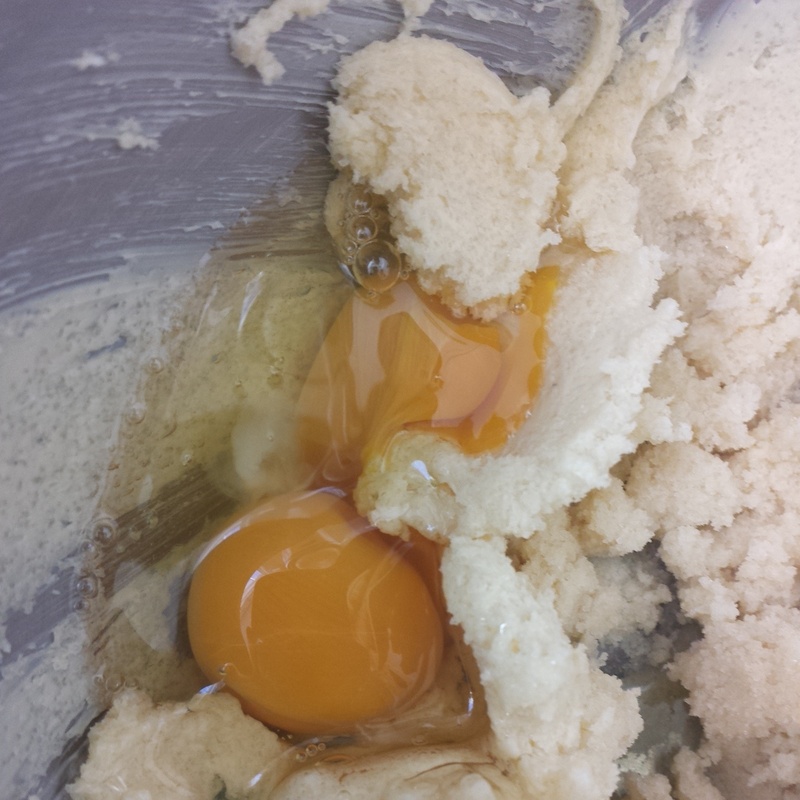 Add two pastured eggs – you’ll notice the very yellow yellow of the butter and the very orange orange of the egg yolks. Those are signs of healthy and nutritious food, which can only come from happy and well-nourished animals who get to enjoy life in the sun and the grass. After the eggs are combined, incorporate 1 C. rapadura, sucanat, or other organic sugar with its mineral content intact. Sift in 2 1/4 C. sprouted whole grain flour, 1 t. sea salt, and 1 t. baking soda – gradually. 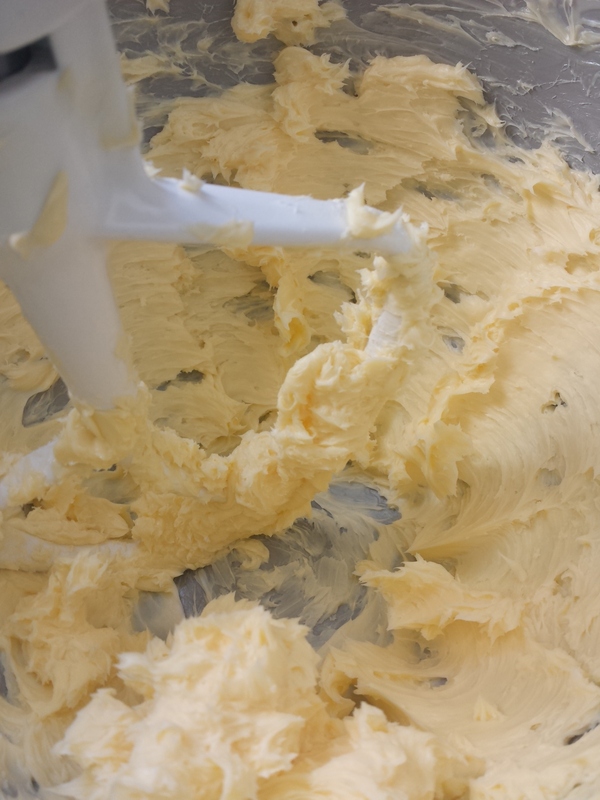 Once the dry ingredients are incorporated, add 5 oz. 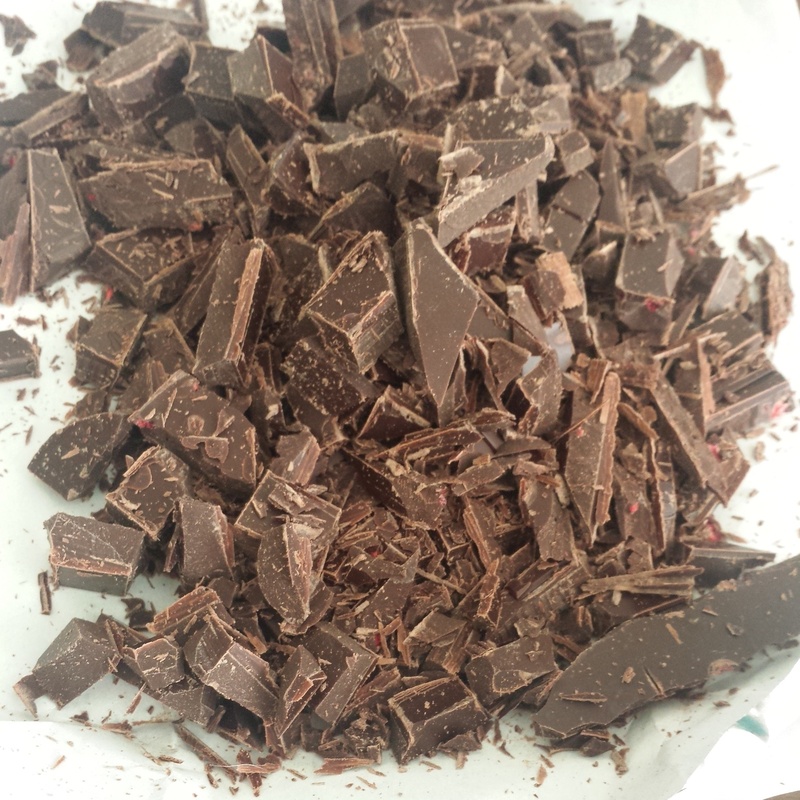 or so of chopped, dark chocolate. I used Theo brand bars that were on sale. Theo is a fair-trade variety with organic ingredients and no weird emulsifiers or soy products; a rare find in a chocolate bar. One of the bars had morsels of real raspberries and one contained orange bits. I almost used the bar with thai chile morsels, but that’ll wait until next time. Roll them into roughly one-inch rounds and arrange them on a baking stone or cookie pan lined with parchment paper, and bake in a 375-degree oven for 11 minutes or so. Voila! They’re a little bit crispy around the edges, and chewy and soft in the middle. A success all around, I’d say. I may have to stash a few in a different location than the cookie jar, because Joseph… well, the man loves him some cookies and these are fine specimens. 28 Feb	This entry was published on February 28, 2015 at 7:17 pm. It’s filed under Collection and tagged backyard chickens, chocolate chip cookies, cookies, DIY, eat local grown, eat real food, grassfed butter, healthy, real food cookies. Bookmark the permalink. Follow any comments here with the RSS feed for this post.